Need to cite your sources? This guide can help. Why Should You Cite Your Sources? When Should You Cite Your Sources? When you are writing a paper or doing research on a topic, you must cite your sources. Academic or scholarly work requires a bibliography, which may also be referred to as a works cited page, a citations list, or a reference list. There are many reasons why citing your sources is important, and you must cite them in order to avoid plagiarism. There are various styles for citing sources; you will most likely find that you will need to use one style if you are writing a paper for a literature course and a different style if you are working in the sciences or social sciences. Using the tabs on the left of this page, you should select the citation style appropriate for your field of study. In each tab, there are some basic examples of items you might be citing. 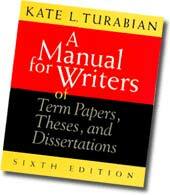 For further examples or more detailed assistance, you may need to refer to a complete writing and style guide. Citation management systems like Endnote are extremely useful for keeping track of, organizing, formatting, and sharing your reference lists. Go to the Formatting Tools tab for more information. If you have questions about how to cite your sources or what style you should use, remember that you can ask your professor or a librarian. Good luck! All scholarly or academic work requires that you cite your sources, whether you are writing a long paper or a quick report. Why is citing your research so important? Partially adapted from "When and Why to Cite Sources." SUNY Albany. 2008. Retrieved 14 Jan 2009. http://library.albany.edu/usered/cite/citing.html. Sometimes your professor or your discipline will have specific requirements about when and how to cite your sources. However, these are some guidelines that generally apply. You quote verbatim from someone else's work. You summarize or paraphrase someone else's work. You are conveying information which may be unfamiliar to your reader (e.g. statistics or factual data). You are not sure whether or not you need to cite. As mentioned above, when in doubt, err on the side of caution. It is better to give your reader more information rather than less. Remember, if you have a question about whether or not you need to cite your source, you can ask your professor, teaching assistant, or a librarian for help. Sometimes citing your sources takes a little bit of time and effort, but it is worth it to avoid plagiarism. What is a Citation Style Guide? It's a handbook or guide that illustrates the accepted format for citing your references in research papers, theses, articles, etc. APA: psychology, education, and other social sciences. AMA: medicine, health, and biological sciences. When in doubt, ask your professor! Plagiarism is the act of taking someone else’s words, ideas, or information and passing them off as your own. If you don’t give credit to the author of these ideas in footnotes or endnotes and a bibliography, you are committing plagiarism, which is a serious academic offense. Everything you find that is written, whether in print in books and journals, or on the web, should be considered copyrighted. That means that you should think of it as belonging to someone else. Information that you find on the web is not free to take or use – it is someone else’s intellectual property. Any material lifted from an original source, including web resources, without proper acknowledgement or credit is considered plagiarized. Inadvertent or accidental plagiarism is still plagiarism. Plagiarism can inadvertently happen if you are not careful about taking notes while you research; it is sometimes difficult to remember exactly where your ideas came from when you are doing research, so remember to cite your sources while you work. It is your responsibility to know what constitutes plagiarism. Not knowing citation standards is not an excuse. When in doubt, err on the side of over-documentation and cite the source. You can also ask your professor, teaching assistant, or a librarian for help in determining what is and is not plagiarism.